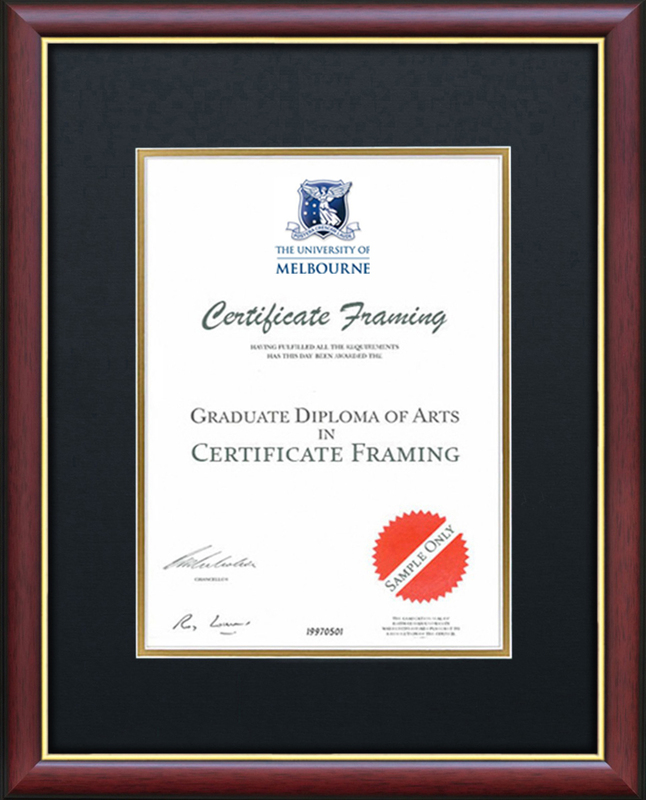 Certificate Frames for your University of Melbourne Degree. 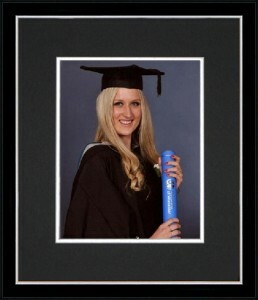 Personalised Plaque ONLY $10: The perfect touch to enhance the prestige of your Certificate Frame. 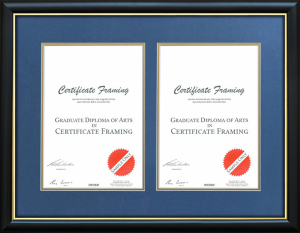 Dual Certificate Frames: Outside Dimensions of this Frame are 710 x 565 mm. 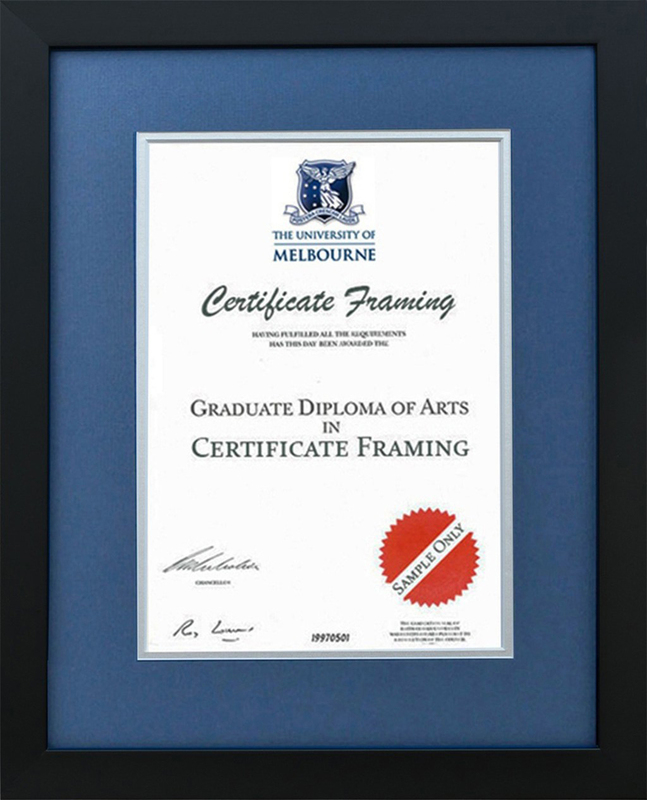 This frame is reasonably large as the Melbourne University presents a large unique sized Graduation Certificate. Prestigious Double Mat: Our certificate frames include Double Mats at No Extra Cost. Double Mats do enhance the prestige of your frame, however most importantly they adds further protection from damaging pollutants and contaminants between your degree and the glass. Acid Free Materials: We guarantee all materials touching your Certificate are acid free. The materials we use will not become acidic over time and cause permanent damage. This is the only way to go to protect your Melbourne University (Testamur) Graduation Certificate. 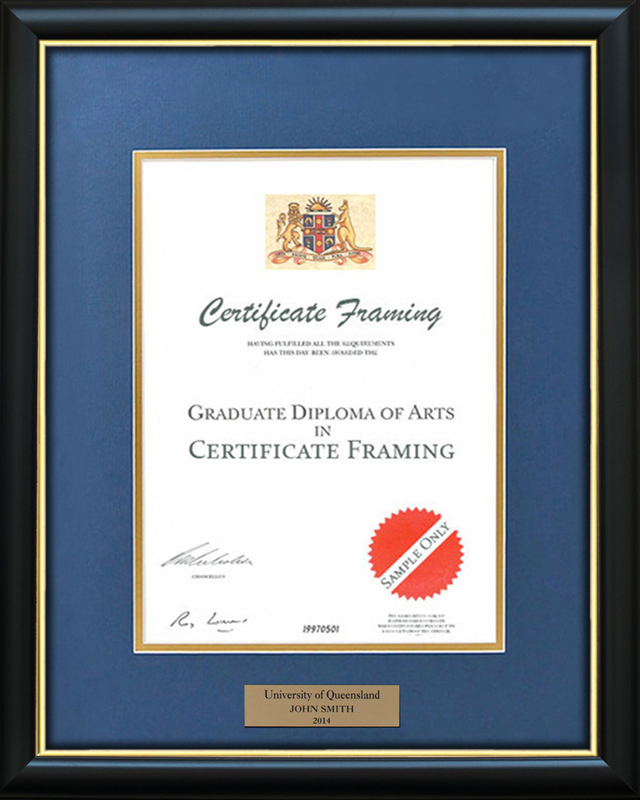 100% Guarantee on Quality, Service and Price: As a premium custom framing business, when we make a certificate frame we use only the highest quality materials available. The premium quality Timber and Acid-free Materials will help preserve your Melbourne University Degree for a lifetime.